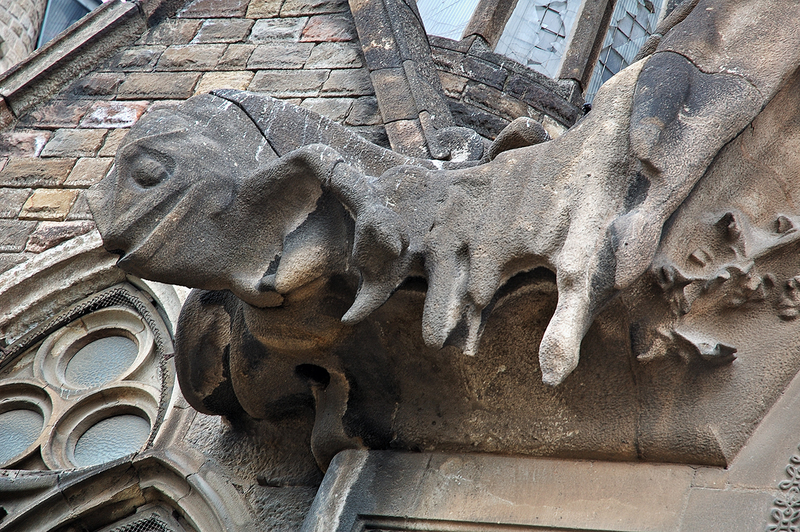 Weird creatures contemplate tourists from above while they visit Sagrada Familia cathedral. Animal sculptures, so common in Gaudi's art nouveau buildings, accentuate the mysterious halo around the temple mixing up Paganism and Christianity with unusual harmony according to my humble and lay appreciation of course. A very interesting and wonderful photo! It looks like acid rain is also taking a toll with dissolution of the marble or limestone? Do you know is this the case? É sem duvida um fantastico edificio.